This two-level pool home has a private, pavered, courtyard entrance with a private entrance to the detached Casita. The open floor plan with a Chef's kitchen boasts upgraded Thermador appliances, slab granite, walk-in pantry, double ovens & a built-in breakfast nook. Notice the beautiful stone floors, built-in wet bar, beamed ceilings, custom lighting fixtures & fireplace. 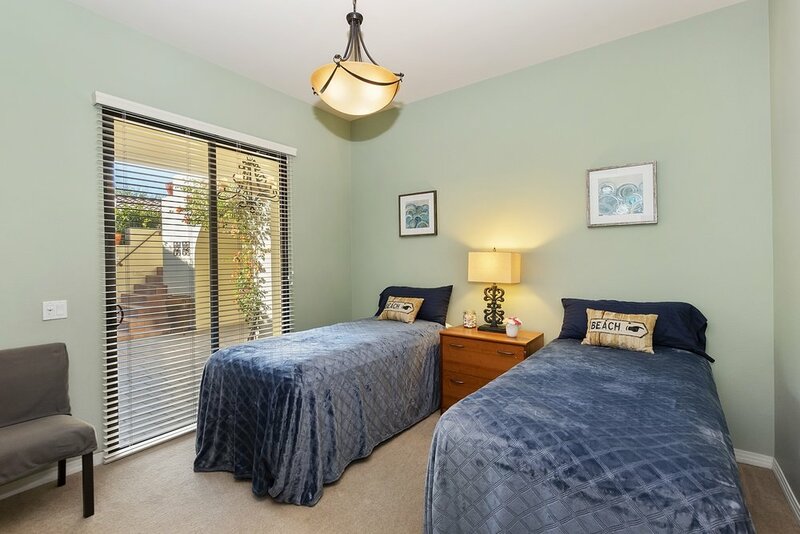 The handsome master bedroom has dual vanities, tub, large shower & outside access. The two guest rooms are just the right size. The spacious upstairs loft is the perfect size for all your friends & family to play pool, watch a movie or hang out on the balconies and watch the sunsets around the fireplace. The private backyard with salt water pool/spa & fireplace is great for entertaining. Fire up the grill, enjoy a libation and take in the sunsets from the south facing backyard. Close to golf, tennis, shopping, dining & all that the desert has to offer. Low HOA dues! 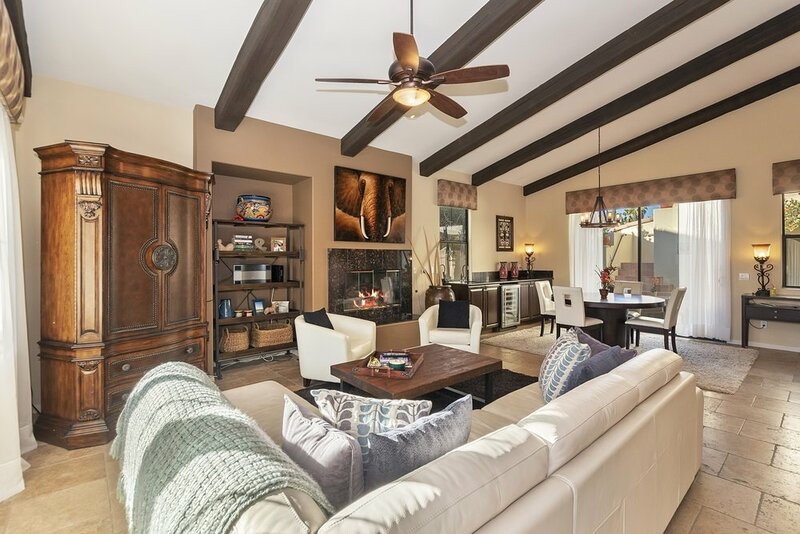 Why not contact Sheri Dettman & Associates today to view this La Cantera home, or any Palm Springs area property!